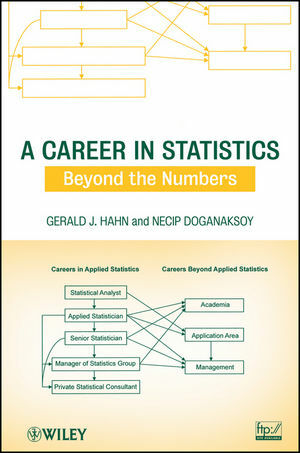 A Career in Statistics: Beyond the Numbers prepares readers for careers in statistics by emphasizing essential concepts and practices beyond the technical tools provided in standard courses and texts. This insider's guide from internationally recognized applied statisticians helps readers decide whether a career in statistics is right for them, provides hands-on guidance on how to prepare for such a career, and shows how to succeed on the job. The book concludes with an in-depth examination of careers for statisticians in academia as well as tips to help them stay on top of their field throughout their careers. Each chapter includes thought-provoking discussion questions and a Major Takeaways section that outlines key concepts. Real-world examples illustrate key points, and an FTP site provides additional information on selected topics. A Career in Statistics is an invaluable guide for individuals who are considering or have decided on a career in statistics as well as for statisticians already on the job who want to accelerate their path to success. It also serves as a suitable book for courses on statistical consulting, statistical practice, and statistics in the workplace at the undergraduate and graduate levels. Gerald J. Hahn, PhD, worked at the GE Global Research Center for 46 years, where he managed its statistics group for 28 years and was elected a Coolidge Fellow, the organization's highest honor, in 1984. A Fellow of the American Statistical Association (ASA) and American Society for Quality (ASQ), Dr. Hahn is the author of numerous papers and the coauthor of Statistical Models in Engineering; Statistical Intervals: A Guide for Practitioners; and The Role of Statistics in Business and Industry, all published by Wiley. He has received many professional awards and served as adjunct professor at various universities. Necip Doganaksoy, PhD, is a Statistician and Principal Technologist at the GE Global Research Center, where he has worked for over 20 years; he is also an Adjunct Professor at Union Graduate College. 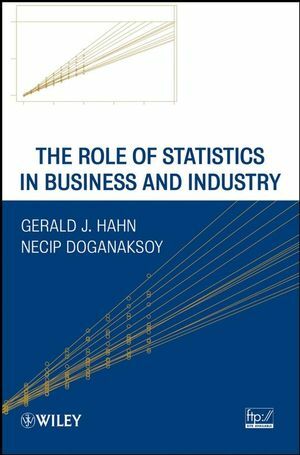 A Six Sigma Master Black Belt and a Fellow of ASA and ASQ, Dr. Doganaksoy has written more than 60 articles on quality, reliability, and productivity improvement and coauthored The Role of Statistics in Business and Industry (Wiley). He received ASQ's William G. Hunter Award in 2009.